Chloe was diagnosed with Raynaud's at 21 years old. This is her story. This is what Chloe said about her condition. "I think Raynaud's is hereditary in my family, my mum and grandma have it. When I was in my early 20s I went to the GP as my hands very painful, and they said there wasn't anything they could do for me. I left it for a few years and then went to another GP who put me on Nifedipine but advised me just to take it as and when I needed it. I continued to struggle for another year or so before seeking a third opinion and being referred to a consultant who said for the medication to take effect it should be taken regularly, so I started taking it twice a day." Chloe goes onto explain her condition of scleroderma. "I was also having acid reflux, a possible symptom of scleroderma, and went to the doctor's 2-3 times with this problem. They just told me it was pretty common and gave me Omeprazole to use once a day and I used other over the counter products when it was really bad. I was a florist at the time and often struggled with doing simple tasks because the environment has to be cold for the flowers to survive, I was always having attacks. It was embarrassing and I used to hide my hands. I also had them in water a lot and developed sores. When I went to the doctor to mention they weren't healing, and they just suggested it was down to using sharp equipment and 'catching' my fingers on florist wires, but I didn't think it was right at the time. I had to make a choice in the end and I sadly had to give up my job because of these ongoing symptoms. My life at 32. A life of trying to fit naps into my social schedule due to the chronic fatigue Systemic Sclerosis causes. A life of waking up and taking a cocktail of tablets before I even have a cup of tea. A year of planning my wedding, this year, hoping that my obsessive skin care regime keeps my skin from worsening whilst receiving results that my lungs are scarred from this life changing illness. Last year was full of difficult decisions after being offered a disease modifying drug that comes with potentially awful side effects but the hope of slowing the internal scarring down and the definite information that I couldn't carry a child if I were on this drug.... 2015 was full of tears after my diagnosis of systemic sclerosis, and it was decided that I was now required to be seen by a rheumatology consultant who I continue to see every 3 months. I'm positive, I know there is no cure, but I refuse to believe I will deteriorate. I do everything in my power to stay fit and healthy. My problem is current…. the decision of whether or not to take Mycophenalate. This disease modifying drug is supposed to help slow down the progression of scar tissue on lungs… which I have and on my oesphagus. I have gone from not even taking a pain killer when I have a headache to taking a lot of medication. It's scary….. really scary. Mostly as Danny my boyfriend and I have plans for a child after our wedding in Sept 2018. You cannot be on Mycophenalate when you want to get pregnant and my concern is “what if the drug never leaves my body"? I have been told that it leaves a healthy body within 6 weeks of stopping it but I have always been a “What if" type of person. On the other hand, I feel very lucky to have the option of taking this drug if it can slow down the process. I'm really torn." Chloe may have been able to start treatment earlier if her Raynaud's had been taken seriously and she had been given correct advise, along with reflux problems, and wounds or ulcers on the fingers or toes that won't heal, further symptom of scleroderma, Chloe has been mis-managed by the system due to knowledge gaps around the conditions. 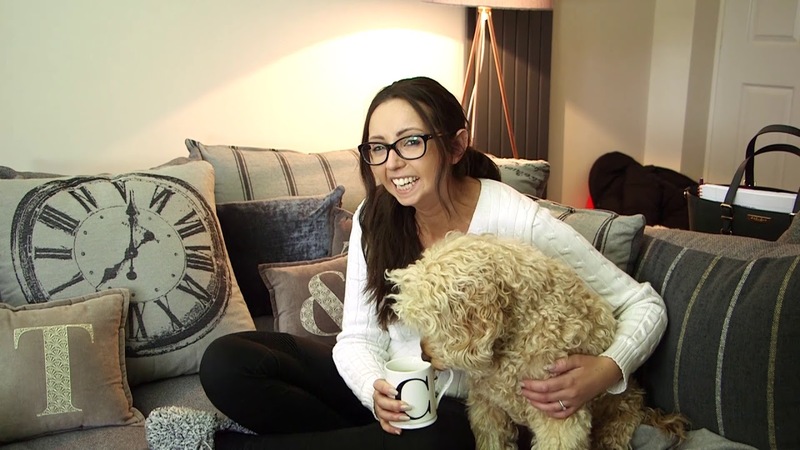 Chloe now 31 year old talks about how scleroderma has impacted her life.